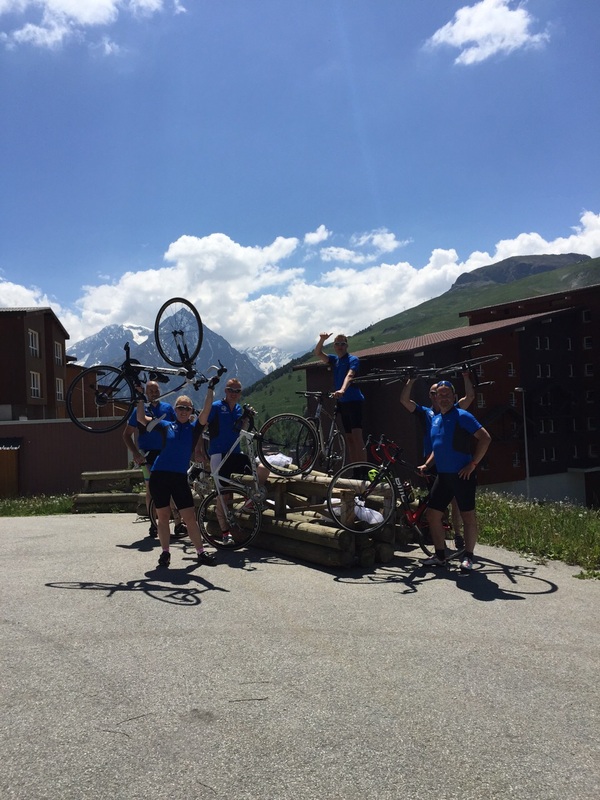 Alpe d'HuZes is a cycle event which takes place every year in the Alpe d'Huez mountain in the Alpes with the aim of raising money for the Dutch Cancer Society (DCS), a nation-wide organisation for oncology related work in the Netherlands. The money contributed by the participants is spent on projects that are believed to yield the most effective results for cancer patients and potential victims of the disease. To become eligible for the event, each applicant has to pay a registration fee of 125 Euro and is then expected to raise a minimum of 2,500 Euro before the start day. On the cycling day, every participant has to cover a distance of 13.8 km with an average climb of 7.9% six times in a row under the motto 'Never, ever quit!'. The pace can be cycled, runned or even walked. 'The cancer treatment is hard and sometimes seems never-ending. Going through it requires will and courage; and I hope that the determination which the Alpe d'HuZes riders show by conquering the distance again and again will inspire those who are fighting cancer now and help them to overcome the disease. We are grateful to have had an opportunity to raise awareness of this issue together with our customer and to make difference', - said Henk-Jan van Keulen, AirBridgeCargo Airlines General Manager AMS. Since its foundation in 2006, more than 30 thousand enthusiasts took part in Alpe d'HuZes and raised over 100 million Euros. This year, in its 10-year anniversary, over 3,000 people took part in Alpe d'HuZes. The participants rose together over 11 million Euros in total.